In a concept created by Lernert & Sander, the CEO of HTML invited Viktor & Rolf to redesign the Internet. Known for their unconventional ideas, they create 'The World Round Web'. Round is the new square, and so we transformed viktor-rolf.com to a round website. All the content is captured within a circle. A real design challenge. 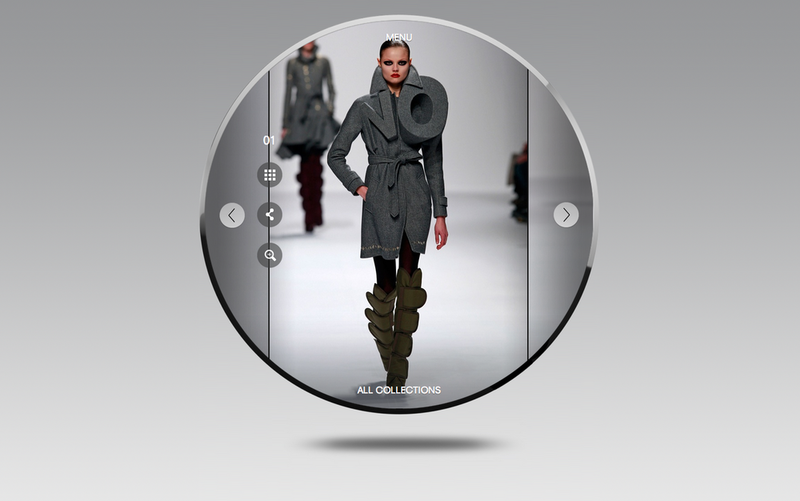 The only way to 'get out of the circle' is to view collection pieces fullscreen. The website is not only an unconventional shape, it also comprises twenty years of Viktor & Rolf in collections, portraits and heritage, as well as their collection of fragrances.